Rare kakariki have fallen prey to falcons at wildlife sanctuary Zealandia. 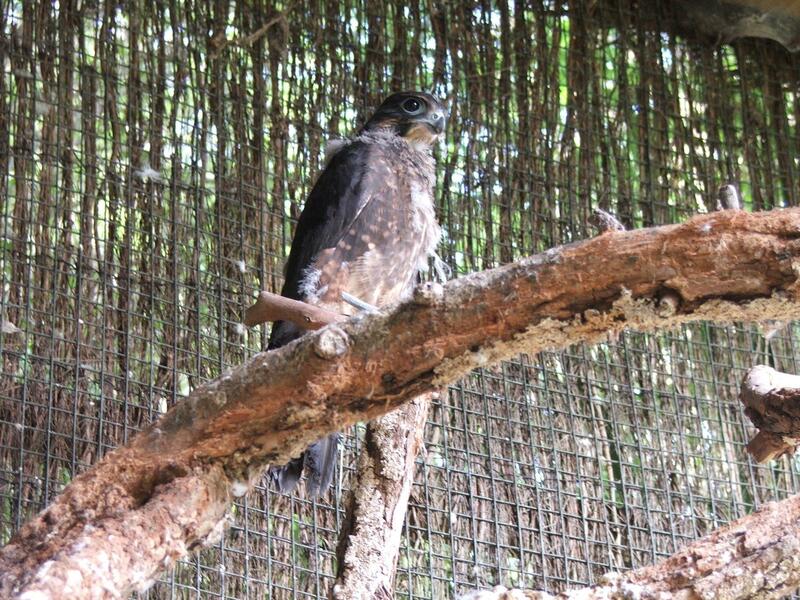 Conservation manager Raewyn Empson said staff believed there was just one pair of native falcons at the sanctuary, but they were believed to be responsible for attacks on two kakariki. 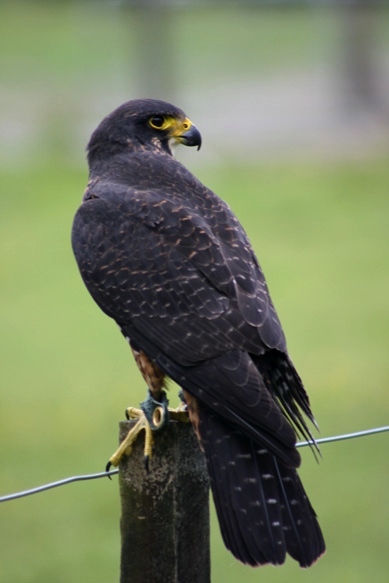 New Zealand falcons are rarer than kiwi, and can catch prey while flying – sometimes at speeds of up to 230kmh. 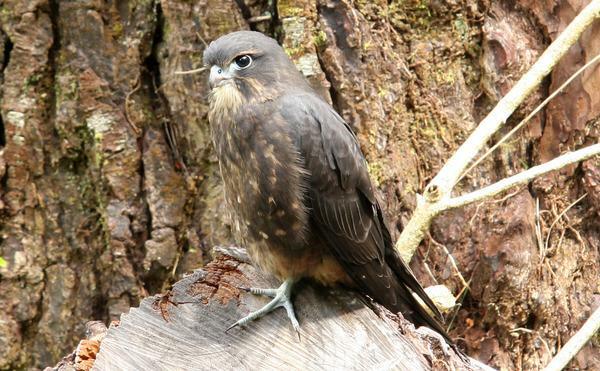 Falcon pairs were absent from Wellington for decades, but their return has come at a cost. 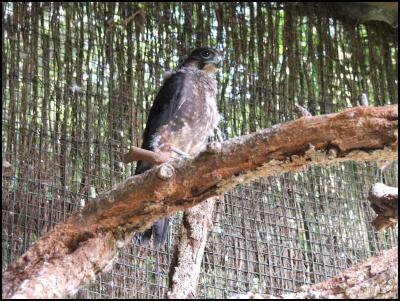 Two years ago four falcon chicks fledged at Zealandia, while last year one did. Falcons found their way to the predator-proof sanctuary in 2009, when their successful breeding attempt made them the first pair to breed in Wellington since the 1970s. However, juveniles are thought to stray far from their parents and were not thought to be responsible for bird deaths at the sanctuary. The kakariki were likely to have been young birds, and others watching the events would have learnt valuable lessons, Ms Empson said. Photo by Tom Lynch, ZEALANDIA/Karori Sanctuary Trust. 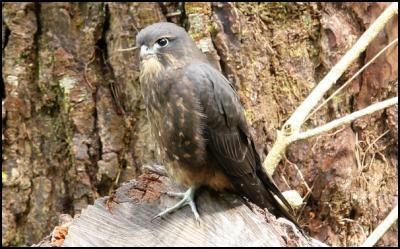 Conservation staff at the groundbreaking ZEALANDIA eco-sanctuary in Wellington believe they have found the first New Zealand falcons to have hatched in the city since the species disappeared as a breeding population in the Seventies. This time last year, ZEALANDIA staff found the capital’s first ever recorded nest, very close to where this year’s fledgings are hanging out. Unfortunately, the nest had been abandoned before any eggs were laid. A second nest, this time with eggs in it, was found in July – incredibly early for falcons – but that also failed. It is an unlikely partnership – the predatory New Zealand falcon and the endangered mohua – but they are thriving side by side. The falcon, a species in gradual decline, and the mohua (yellowhead) are benefiting from a predator control programme in the Catlins River Walk area of the Catlins Forest Park in Southland. It has not been an easy road for either species, something this reporter and photographer can appreciate after a trek to their home territory last week. Accompanied by Department of Conservation ranger Graeme Loh, the promised 1km walk turned into a four-hour hike – and there were no birds to be found. However, just as we began the walk home, we heard a falcon’s angry chatter – protesting at strangers in its territory – and experienced its dive bombing skills first-hand. Mr Loh said the increase in falcons in the area seemed to be the by-product of increased predator control.